Having stood the test of time, Andis Master and the Wahl Senior are among the best barber clippers out there. Any quality salon has either (or both) of them. Many people use them at home too. Their power and long-lasting quality are something many other models lack. But if it comes to comparing them, which one is a better choice? The Master? Or rather, the Seniors? You can also read our full review on all Seniors or head to our Andis Master review. All purpose blades for fades or bulk cuts. Extremely flexible side lever for blade control. 6.5", 1.3 lb. Grey plastic top, chrome bottom. Wahl #1005 standard blade for all purpose cutting. More rigid lever. Heats up less, but runs noisier and vibrates. 6.5", 1.2 lb. Black plastic top, chrome bottom. Wahl #2191 Fade blade for precision fade and above average bulk cuts. More rigid lever. Heats up a bit less, but runs noisier. Master clippers are a 6″ long, 1.25 lb beauty sporting chrome-colored elegance. Their body is made of extra tough aluminum, making them a virtually unbreakable professional hair clipper. The Master is sturdy and extremely long-lasting due to its metal casing. The design of this machine is revered among barbers all over the world. Compared to its Andis rival, the Wahl Senior professional clipper features more mundane looks. It’s a little bit bulkier than Andis Master with its 6.5″ and it weighs around 1.2 lb. The lower half of the Seniors is made of durable chrome. The cover on top of the clipper features high quality hard plastic coming in a grey color. For 5 stars, it’s black. The big difference lies in their design. People who like elegance would be fascinated by the Master; those who value practical looks and a slightly “industrial” feeling would fare with the Wahl. The Senior has a slightly better grip, but might feel bulky for some. Protip: If you however decide to go with the premium Reflections Senior on Amazon.com, you will get a clipper even more stylish than the Master. Full-on chrome housing, elegantly etched clipper series initials and 1.3 lb of solid weight for the ultimate barber experience. The Andis comes out of the box with the brand’s highest quality electromagnetic motor. It allows for high performance and makes the machine extremely heavy-duty ready. The Master features carbon-coated steel blades that perform flawlessly no matter the type of hair. They are especially great for coarse and ethnic hair. This is an adjustable clipper – you can use the side lever to raise or lower the blade (#000 to #1). You can zero-gap the blade for considerably shorter haircuts, but doing it is a bit difficult. 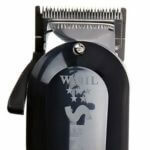 The Senior professional clipper is furnished with Wahl’s absolute best: the famous V9000 electromagnetic motor. It has a little bit more power to it and you can use it for long haircuts without a problem. The #1005 Wahl blade is made of stainless steel and is famed for its precision and smooth cuts. Like Master, the Senior is an adjustable clipper. The difference between those two lies in the lever. The Masters feature a more comfortable, step-by-step lever, while the Wahl lever is a bit more unintuitive. However, zero-gapping the Wahl blade is way, way easier. When it comes to heating issues, the match ends in a draw. Both barber hair clippers suffer from overheating when used for a longer time. This is nothing too surprising, as every heavy-duty professional hair cutter heats a lot. That said, the Master has a full-metal body, unlike the Senior’s mixed chrome plus hard plastic one. This makes it score a little bit higher on the heating scale, while Wahl’s model stays cooler for longer. As far as noise goes, this clipper is definitely quieter given its blades are properly aligned. The Wahl Senior V9000 will rather “roar” than hum, but it still is quieter than powerhouses like the Oster classic 76 clipper. Both clippers lean on the noisier side, though – yet another trademark of powerful barber hair clippers. No doubt about it: Master clipper outperforms the Senior here. The blade is well-renowned for its high quality tight and razor fades. Combined with the convenient adjustable lever, it shoots the Master into a best hair clipper for fades territory. While the #1005 Wahl blade is a high quality one, it will take longer to blend with it. The standard Seniors 8500 lack a fade blade, actually. 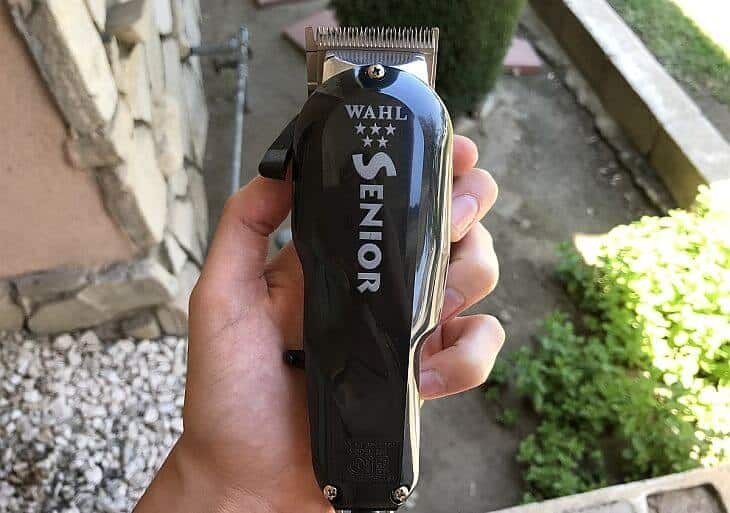 If you opt to go in with the Wahl 5 star Senior clippers, you will see an improvement. 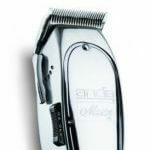 The 5 star Senior clippers come with a Wahl fade blade included and are a much better competition for the clippers. That said, both models make it into our list of the best clippers for fades. In the Senior comparison, the Senior scores a decisive victory when it comes to pricing and accessories included. 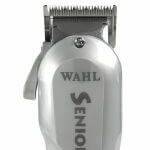 Even the more premium Wahl 5 star Senior is significantly cheaper than the Master clippers. The standard model is priced even more lucratively. The Senior V9000 also comes with 3 attachment combs (from 1/16″ to 3/16″). The Master doesn’t include such accessories, so if you want to buy clipper guards, you have to do this separately. 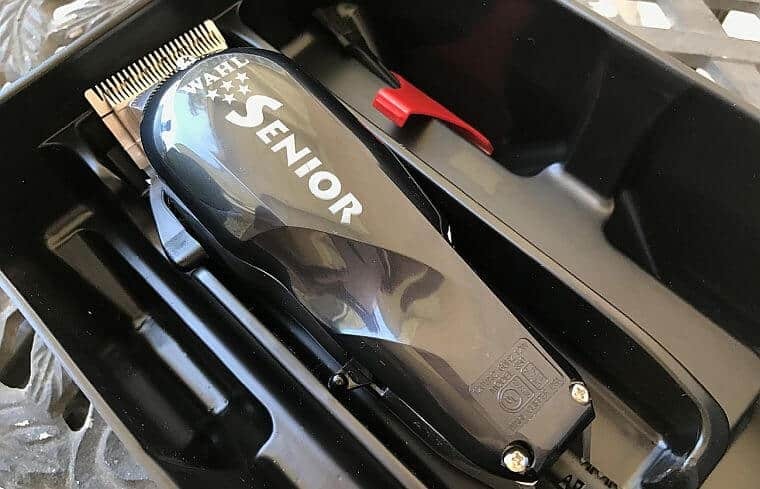 If you opt to go with the luxurious Senior Reflections cutter on Amazon.com, you’ll get the most customization options with 8 Wahl guards included. Speaking of accessories, Andis guards are usually sharper and a bit more durable than Wahl clipper guards. If you’re cutting kids’ hair, you have to be more careful. The Master, however, comes with no guards included. I suggest you grab Andis Nano purple guards from Amazon.com if you go for the Masters. These combs are the industry’s absolute best when it comes to clipper accessories. Andis Master vs the Senior is a tough choice. On one hand, both models are high quality barber hair clippers widely used by professionals and casual users alike. On the other, their focus sometimes differs a lot. Let me be clear: in terms of motor power, blade quality and long-lasting operation, both of them are a top choice. Are you looking for a more stylish, presentable clipper? Andis Master has iconic looks that make it stand out from other hair cutters. Do you prefer bulkier models with a slightly better grip? Wahl is for you. 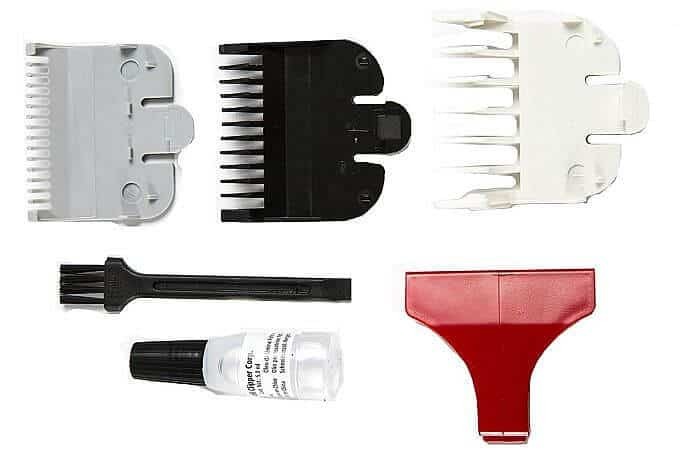 Do you need a hair clipper for fades? The Master makes more sense, or at least grab the 5 star Seniors clipper. Are you on a budget, yet want a professional quality hair clipper? Wahl definitely outshines the Master in this department.You’ll also fetch more accessories. 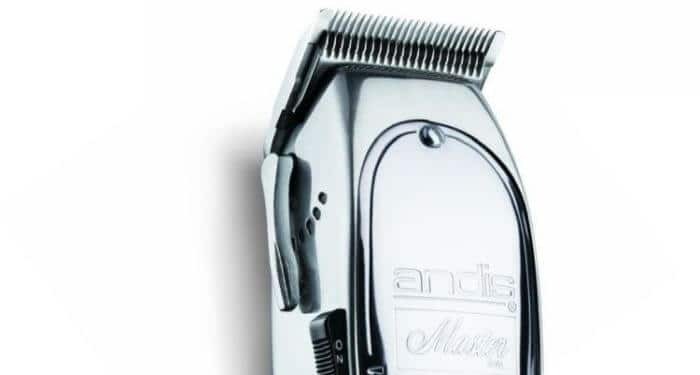 I hope this Andis Master vs Wahl Senior professional clippers comparison has given you some pointers. Ultimately, you can’t go wrong with either of these barber hair cutters. But there are some differences between them that make them suitable for slightly different occasions. Note: the scores in this benchmark are calculated by comparing these two professional hair clippers directly. They might differ than the scores of the Master clipper and the Senior V9000 in their standalone reviews. Great comparison! Andis and Wahls each have their own camp. Always felt strange being in the middle with no particular preference, lol. I started out with a 5 star Senior 2 years ago. Felt not that intimidating as I was just starting out. Now it’s a regular 8500 senior and a Master for me. Got the Master for fading and the regular for general purposes. Killer duo! I’d say any barber might want to have both of them in his shop. I’m sure me and Ryan will disagree when it comes to our personal preferences in this ‘battle’. I’m a Wahl guy, he prefers Oster and Andis. However, we did our best to present an objective view and we’re glad you liked it! You’re completely right – having both of them is great if you’re a barber. For regular consumers, though, possessing both the Master and the Senior would be a little bit of an overkill. As I’ve mentioned before on the site, I’m sticking to a Wahl Super Taper II currently. I’ve been eyeing the Senior Reflections to give it a try…I have also had some fun with the ‘regular’ Senior and it did a great job. In any case, these two clippers are the best two of the top clipper brands can offer. Both are a solid choice. Glad we could help out, Evelyn! I am a black man with very hard, coarse facial hair– barbers comment all the time on how thick my individual hairs are. My facial hair is very coarse and curly. If my main goal is to have a crisp, sharp, facial beard, what is the best machine to buy? Is it one of the 3 mentioned or do you have another machine in mind that is just perfect for facial use (upper lip, goatees, etc)? In your case, I’d go with an Andis T Outliner or Wahl Detailer. We have reviews on them too. Personally, I trim my beard + mustache + sideburns and other facial hair with a T Outliner. It does a great job! However, it doesn’t come with any guards. If you want more control on the beard length, check the Wahl Detailer. Similar to how Seniors and Masters battle it out, the T Outliner and Detailer are the top hair trimmers on the current market. which Wahl clipper should i buy for thick bulky hair. I dont do any fading. Im sick of buying cheap clippers that dont cut,,or jamming all the time. So what kind of Wahl should i buy, and with which type of blades. Thanks a lot man, this was really a detailed and well explained article.